People buy cars like the Rolls-Royce Phantom, the Mercedes Maybach and the Bentley Mulsanne to be chauffeured around while enjoying all the luxury the rear seats can provide to the fullest. Yet Bentley felt it was time to make a car for the chauffeur. This is a 2.5 ton luxury limousine powered by a 6.75 liter twin-turbo V8 producing 530 horsepower and 811 lb ft of torque between 1750-4000rpm. That’s 1,100 Nm right at the bottom of the rev-range. 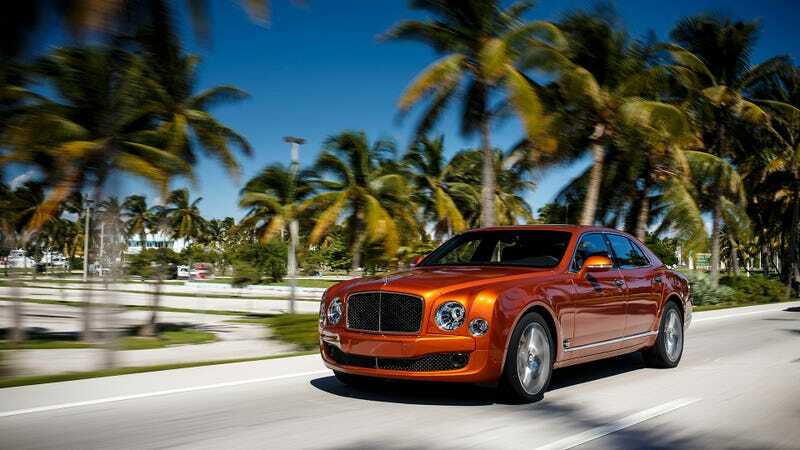 Bentley says China is a massive market for the Mulsanne, but the Speed is aimed at Europeans who want to drive the car that’s supposed to drive them. Said people won’t buy fast Continentals for that purpose. Nope. They will instead spend all the money in the world only to ignore the goodies at the rear just to be able to drive a car that will melt its brakes the moment they step on it properly. Mr. Spock, anything to add to that?